Hey, Aprile Lover! 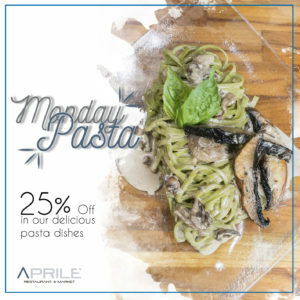 Check our Special Promos! 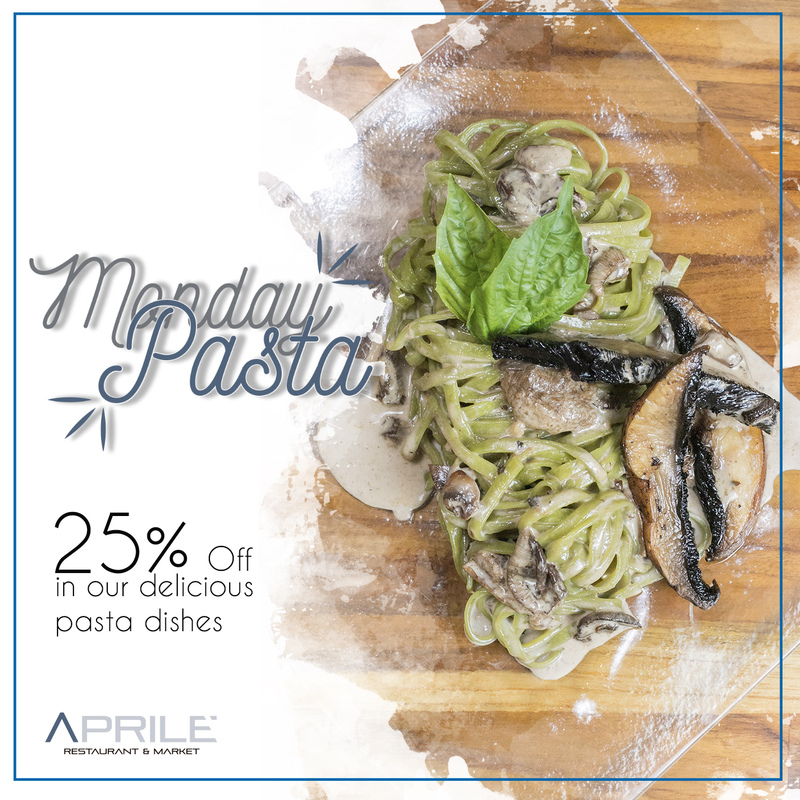 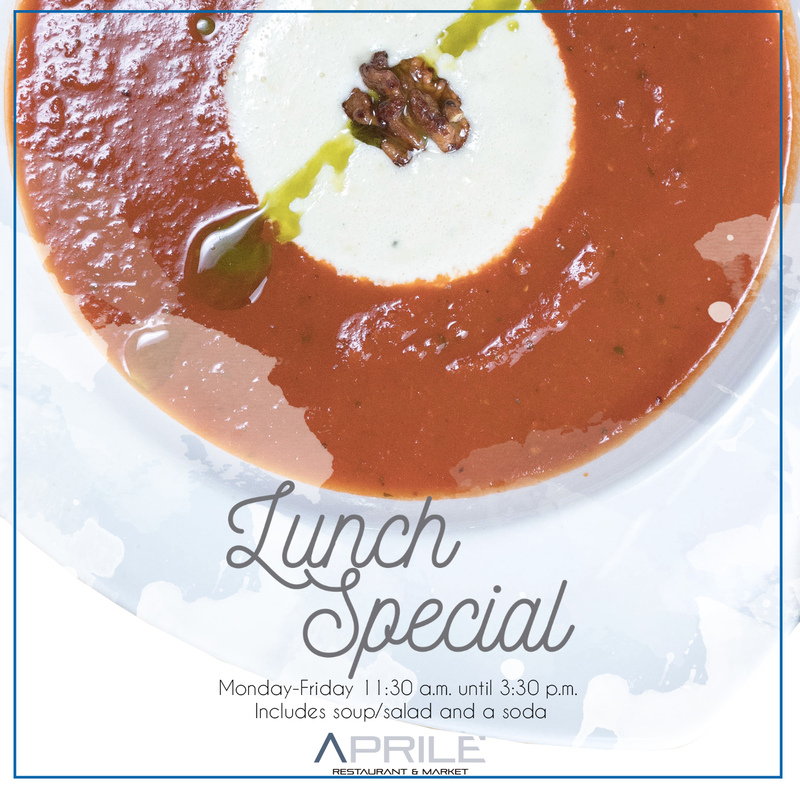 Monday to Friday from 11:30 a.m. until 3:30 p.m.
Get a 25% off in our delicious pasta dishes on Mondays.